When the United States first engaged North Vietnamese forces in the 1960s, American military brass were well aware of the fact that they were likely going up against a plethora of troops armed with relatively modern military hardware, courtesy of your friendly neighborhood Soviet Union. Initially, American military aviators enjoyed a considerably high degree of control over the Vietnamese skies, able to deal quickly with any challenges that reared their ugly faces in the form of flat-nosed Soviet-built MiG air defense fighters. However, things took a turn for the worse when the Soviet Union ramped up its aid to beleaguered Vietnamese communist forces. Among the newer waves of weaponry and munitions supplied by the USSR were the SA-2 “Guideline” high altitude surface-to-air missiles (SAM), provided in significant quantities. The Guideline was developed and fielded in the late 1950s, and the West was extremely cognizant of the threat posed by SAMs but did not yet have an effective way to counter it. When Operation Rolling Thunder kicked off in early 1965, North Vietnamese forces began littering SA-2 emplacements all over North Vietnam’s jungles and countryside with the intention of creating a massive missile shield to counter American bomber strikes. Soon, large flights of bombers and attack aircraft were getting chewed up on two different fronts- enemy fighters sent up to meet the oncoming attack flights and SAMs fired from below. Complicating matters was the fact that SAM emplacements were at first off-limits to ground attack pilots, thanks to President Lyndon B. Johnson and Secretary of Defense Robert McNamara. They feared that Soviet advisors who helped build and maintain the missile sites could very well be killed in the process, thus giving the Soviet Union cause for escalating the already-tense Cold War situation. Air Force generals were understandably angered and frustrated with the political micromanagement that inhibited their ability to effectively mitigate a threat that was responsible for the death of far too many aircrews. They needed a solution and it needed to be figured out fast. Project Wild Weasel was thence launched with the goal of fielding an aircraft that would only fly anti-SAM missions. American defense contractors were secretly tapped by Brigadier General Kenneth Dempster, the head of Project Wild Weasel, to repurpose and upgrade off-the-shelf gear that would be fitted into a select number of F-100F Super Sabres. Applied Technology Inc. was instrumental in coming up with the AN/APR-25 RHAW (Radar Homing and Warning) system, which would determine the type of radar, the direction from which it emanated and even a launch warning in the event that the ground emplacement fired off a SAM or two. With the aircraft ready, Dempster needed aircrew who’d be crazy and brave enough to fly the mission they were about to be saddled with. Each Wild Weasel jet would be flown with two crewmembers, a pilot and an electronic warfare officer (EWO). The EWO, also known as the “guy in the back” (or GIB for short), was tasked with monitoring the complex radar systems, actively seeking out possible SAM sites. 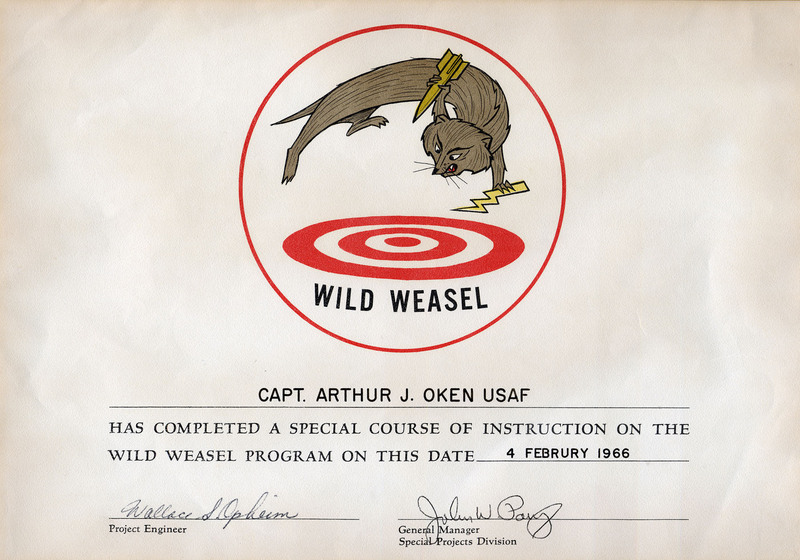 Both pilots and EWOs selected to fly Wild Weasels were trained at Eglin Air Force Base in Florida in late 1965. At first, it seemed like a cakewalk to the aircrews who participated. All that was required of them was to find the SAM sites, radio in the coordinates and get the hell out of Dodge, right? Wrong! Even with all their worst nightmares making an appearance, pilots and their GIBs committed themselves to 100-mission tours of duty, flying over to air force bases Thailand later that year. “You Gotta Be Shittin’ Me!” (shortened to YGBSM) was adopted as the unofficial motto of all Wild Weasels from then on, a stark reminder of the incredibly dangerous missions they would be flying. 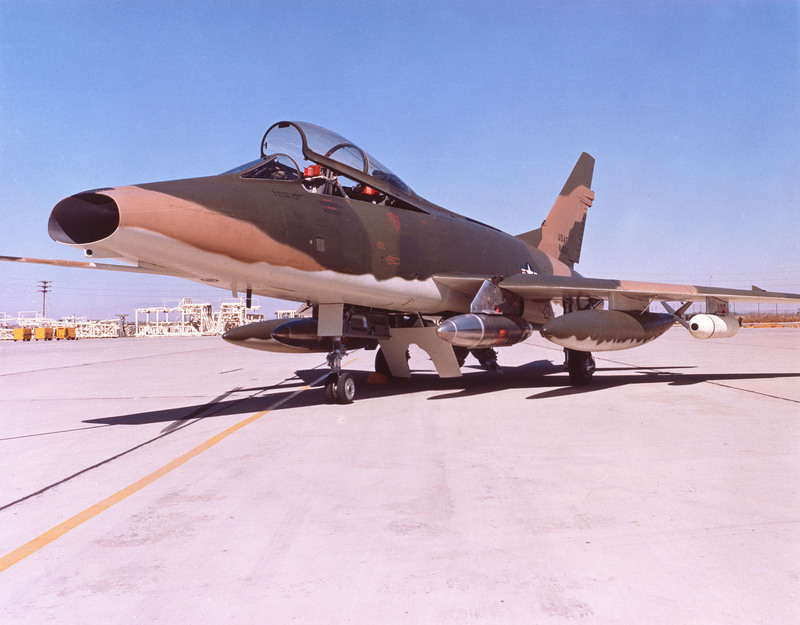 The first Wild Weasels, as was mentioned earlier, were North American F-100F Super Sabres that were capable in themselves as a fighter aircraft, but could not last long in a high-threat environment. For the Wild Weasel (WW) missions, they would fly with larger F-105D Thunderchiefs (aka “Thuds”), which would finish off SAM sites after Super Sabres attacked the sites to mark them. In December of 1965, Captains Al Lamb and Jack Donovan were the first Weasels to score a SAM kill. Their worth was demonstrated and proven to Air Force leadership. However, the toll on Weasels was immense. 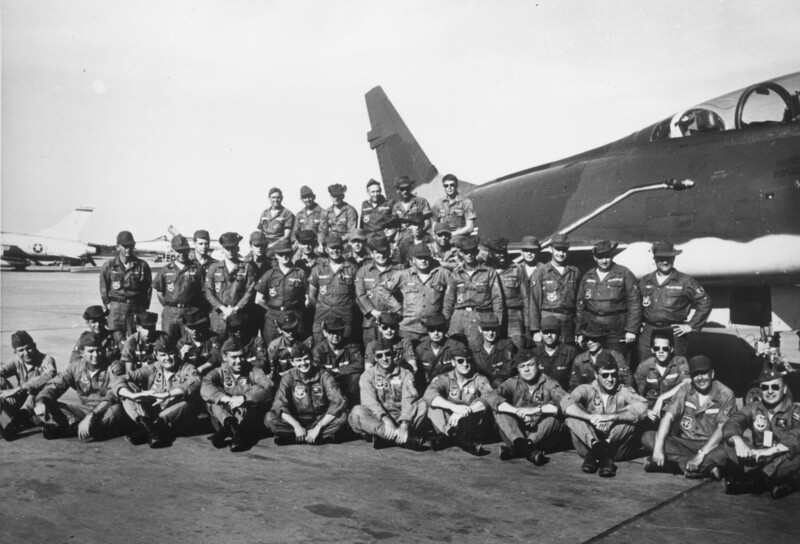 Within just a month and a half, the 354th Tactical Fighter Squadron (the first official WW squadron in existence) had only one F-100F left, and of 16 pilots/GIBs, four were killed in action, two were taken prisoner after being shot down, three were wounded in action and two had voluntarily left the squadron. Tactics were partly to blame, though the majority of the fault lay with the F-100F. It wasn’t the right aircraft for the job. The shortest chapter in the Wild Weasel saga was the Air Force’s attempt to repurpose the McDonnell Douglas F-4C Phantom II as its next Wild Weasel, replacing the F-100F. This didn’t work out to the Air Force’s liking, and it was quickly determined that the Phantom II wasn’t suitable to the WW role… for the time being. 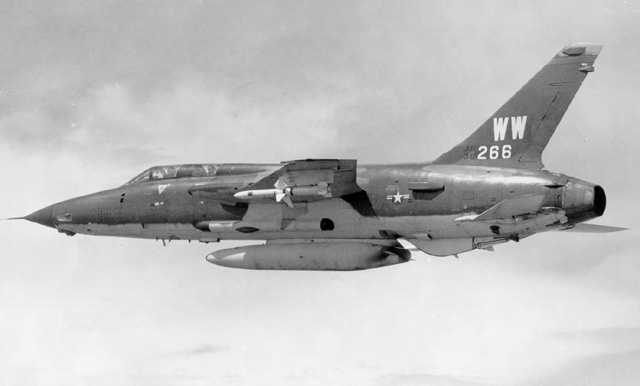 The heavy, speedy Republic F-105 Thunderchief (aka the “Thud”) was the next Air Force platform to serve in the WW role. A batch of F-105s were modified to F-105F and F-105G standards, and were renamed as such. The Thud was far more heavily armed than the Super Sabre and could fly a heck of a lot faster, thus evading SAMs more effectively. Not to mention, Thuds were extremely resilient aircraft and could take a thrashing and then some. Air Force crews and contractors installed the AN/APR-25 systems aboard Thuds selected to become Wild Weasels, and added the AGM-45 Shrike anti-radiation missile, which would seek out and lock on to the radiation from SA-2 search radars on the ground, homing the missile in on its target quickly. By mid-1966, the Wild Weasel IIIs were deploying to fight in Vietnam, and would prove themselves an invaluable asset to the USAF’s operations in the skies over “the land of bad things”. By 1964, Republic had ceased production of the F-105 and the Air Force began the process of replacing Thuds en masse with the F-4 Phantom II. Though initially a bust, began to really fill out as a multi-role fighter with attack/ground strike capabilities when pilots were trained to greater effect on the Rhino (as it was known to Air Force pilots back in the day). A darker part of Air Force reasoning behind the replacement of the Thud Weasels was the fact that the entire F-105 fleet deployed to Vietnam experienced astonishingly high rates of airframe attrition. While the Thud was fast and armored, it wasn’t invincible and the smallest in-flight issues it experienced could rapidly mutate for the worse. Though the F-105G Wild Weasel platform was retained until 1975, the majority of Wild Weasel missions were flown from then onwards by converted F-4Cs, officially called the F-4C Wild Weasel IV. 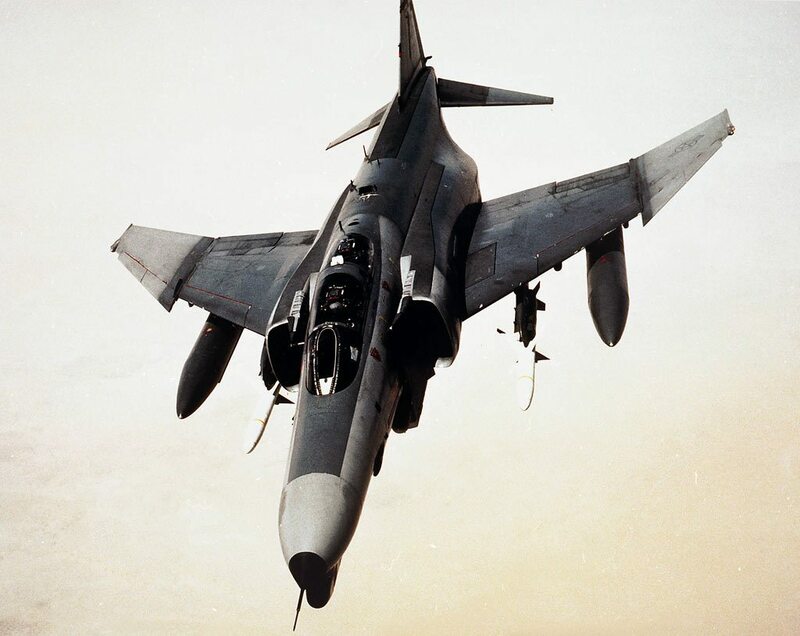 By 1975, the F-4E was making its debut as the latest and greatest version of the Phantom, built with an internal rotary cannon and redeveloped ground-strike capabilities, as per Air Force requests. It made sense that the newest Rhino would be adapted to Wild Weasel standards, considering all that it offered. The cannon was promptly replaced with a Radar Homing and Warning Receiver, and the rear cockpit (where the EWO would sit) was upgraded to include a more advanced radar search/detection suite that would better complement the Wild Weasel mission. The AGM-88 High Speed Anti-Radiation missile would be the Rhino Weasel’s primary weapon of choice. These new “Advanced Wild Weasels” were designated F-4Gs, entering active service in 1978, around three years after the end of American involvement in Vietnam. Thirteen years later, F-4Gs from George Air Force Base in California and Spangdahlem Air Base saw action in the Middle East during Operation Desert Storm, being among the first aircraft to penetrate enemy airspace and take out the Iraqi air defense systems scattered across the desert floor. The last of the Rhino Weasels were pulled from service in 1996. The Wild Weasel mission didn’t disappear with the retirement of the F-4G in the mid-90s. 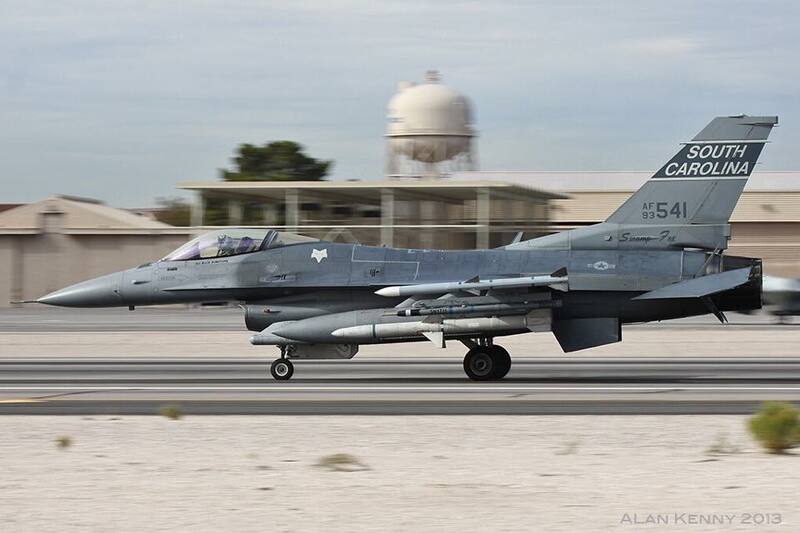 Today, specially-outfitted F-16C Block 50/52s have taken over the Suppression of Enemy Air Defenses (SEAD) role. Gone are the Guys in the Back, now replaced by extremely advanced computer systems that allow a solitary pilot to detect ground threats, target and strike them, all with great efficiency. The Air Force projects that the future of the Wild Weasels lies with the F-35A Lightning II, well-suited to the role with its onboard detection and electronic warfare suites, its stealth (which allows for minimal detection by enemy air-defense radar networks) and its ability to carry a heavy internal payload of smart ground attack munitions. There’s no question about it: you had to be insane, extraordinarily courageous or both to be a Wild Weasel. The amazing Wild Weasel pilots and GIBs of the Vietnam era rightly deserve credit and honor as being among the bravest and most selfless airmen in history, flying near-suicide missions which many did not return from. Their job was to neutralize the surface-to-air missile menace, which was responsible for the untimely deaths of numerous airmen flying in larger bomber and attack aircraft, unable to defend themselves against such threats. I truly feel incapable of expressing in words the admiration and respect I personally feel for these phenomenal men. Though some may dismiss it as fan worship, their actions alone, carved into military aviation history, have earned them heaps of well-deserved praise.